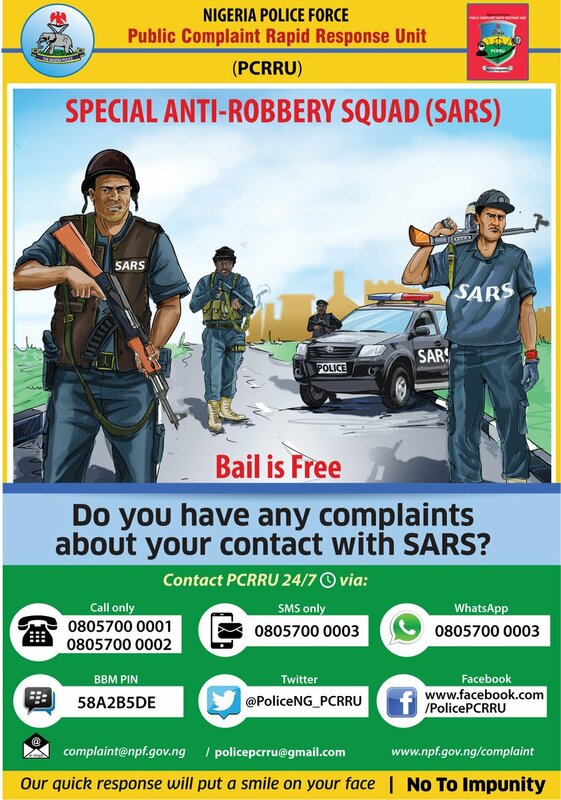 Commissioners of Police in each of the 36 Police Commands in Nigeria as well as the FCT have been directed to immediate take full control of operations of the dreadful Federal Special Anti-Robbery Squad (FSARS). This directive was given on Monday in Abuja by the acting Inspector General of Police (IGP), Mr Mohammed Abubakar Adamu. The nation’s police chief said the decentralisation of FSARS was part of efforts aimed at making the force a better organisation. He further said the FHQ Unit should now be under the command of the DIG FCIID., explaining that the “import of this is that the DIG FCIID and Command CPs shall from this date, not only assume administrative and operational control of SARS in their respective Commands, they shall also be directly held liable for any professional misconducts resulting from the operations of the Units in their Commands. Mr Adamu also said today that “all quasi-investigation and operations outfits including the Special Investigation Panel (SIP) and Special Tactical Squad (STS) or any other such Teams under whatever name are hereby disbanded. “The DIG FCIID is to takeover and review all cases that such Teams are currently handling as well as official assets on charge to them and submit a detailed report to my Office within two weeks. “Similar comprehensive reorganisation will be undertaken in the investigative, intelligence and special operations arms of the Force comprising of the Police Mobile Force, Counterterrorism Unit and the Special Protection Unit. On the next month’s general elections, the chief cop said he has tasked all Commissioners of Police across all the 36 Police State Commands and the FCT to galvanise their personnel and mobilise logistics towards ensuring a peaceful and credible exercise. “They shall also be tasked to identify possible threats and apply all legal and professional means to neutralise them ahead of the elections. “Let me reiterate that while the Police in all Commands will secure law abiding political actors, party faithful and citizens in the course of the elections, nobody should be in doubt as to the capacity and renewed determination of the Police to deal decisively with elements that attempt to test our will by engaging in political violence or other electoral offences including vote buying which could threaten our democratic values.